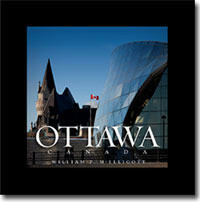 Local author William P. McElligott will be in the store on Saturday, June 2 from 11:00am to 2:00pm signing copies of his new photography book “Ottawa, Canada.” It’s a beautiful hardcover coffee table book filled with gorgeous photographs of Ottawa taken during each of our four seasons. It would make a wonderful gift for friends and family, or as an exciting treat for yourself! For more information about William or his book, visit www.wpmcelligott.com.